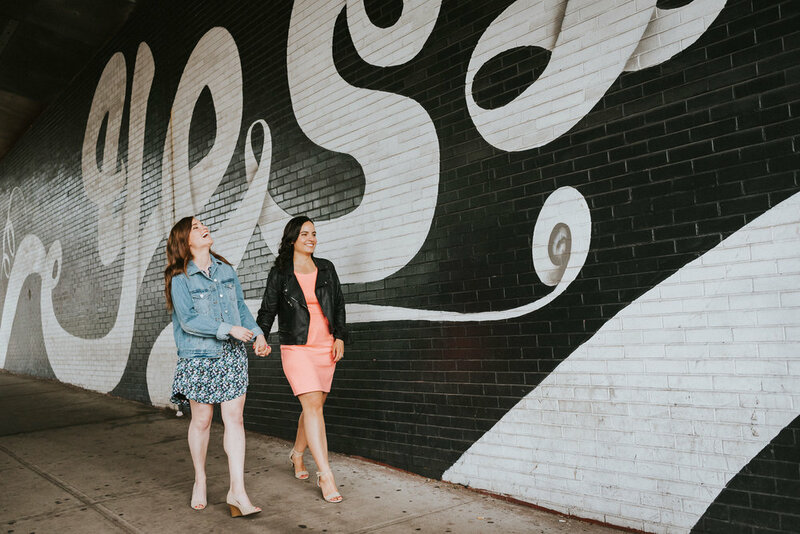 We had so much fun wandering around Dumbo with Ana and Christie for their engagement session! 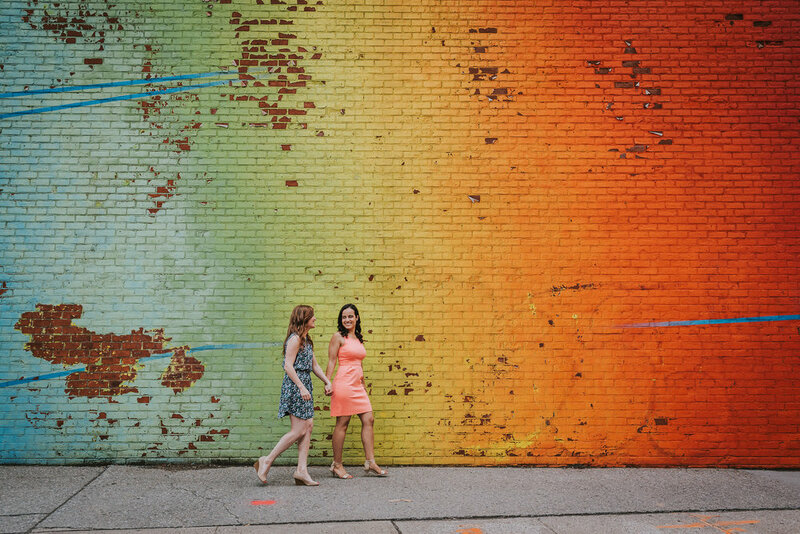 We stopped by a few pieces of great street art, including the rainbow wall! After that, we headed over to Brooklyn Bridge Park for some gorgeous skyline views. 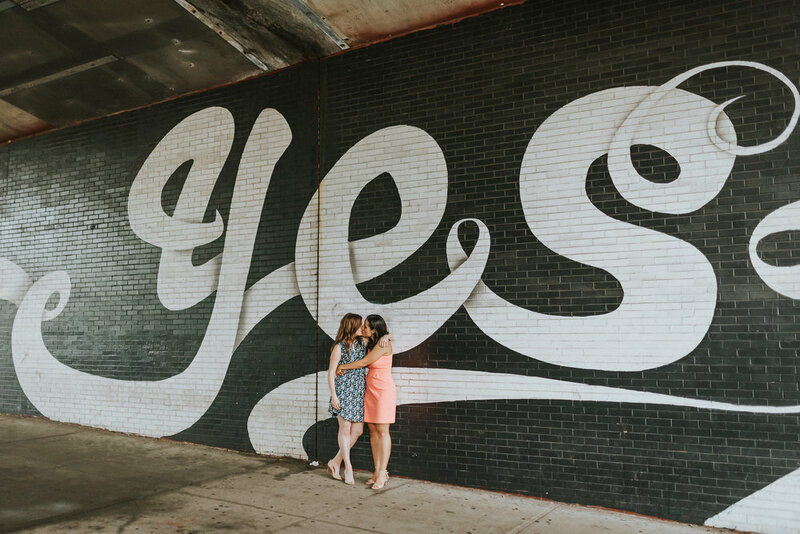 We're so excited to capture their special day at Brooklyn Winery in September!